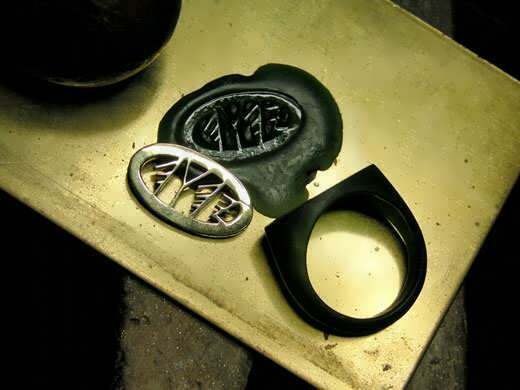 I’m happy to introduce to you this time a unique recreation of King Solomon’s Signet Ring and to share with you an unbelievable story that took place 15 years ago, but before that, here’s an explanation about the ring and the reason I’ve decided to create it. 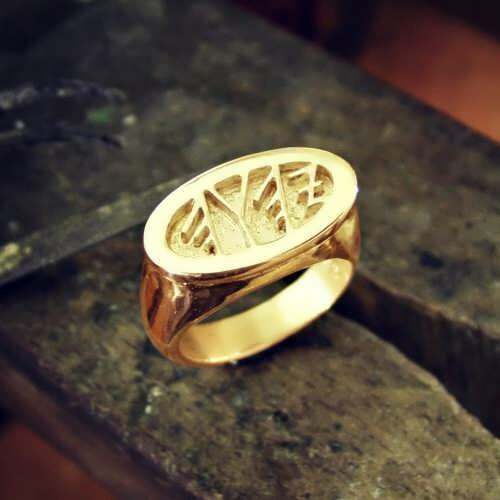 About two weeks ago I’ve received an email from a client, asking me to create my own version of King Solomon’s Ring. 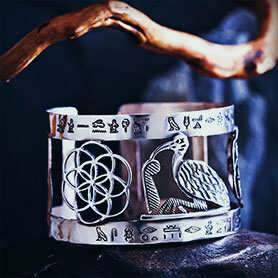 At first I refused because the current so called “King Solomon Amulets” that are being sold on the web are to my opinion, a fraud. 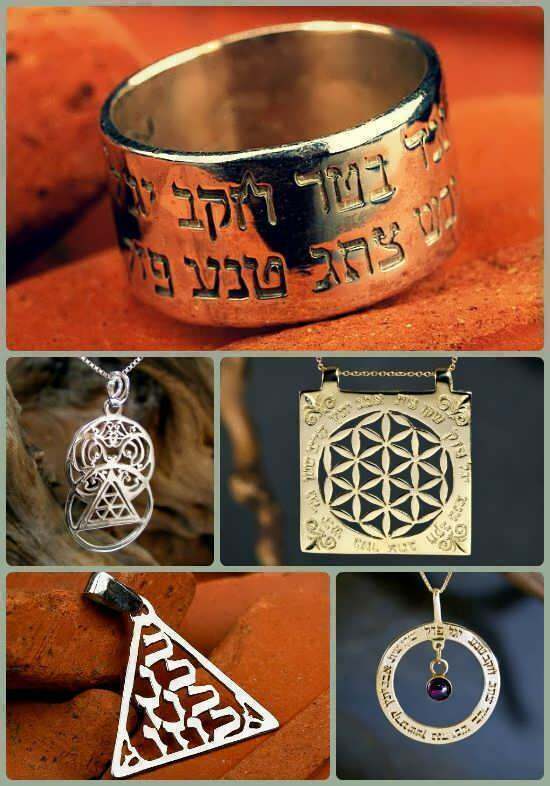 The manufacturers claim that they all based on “King Solomon’s esoteric knowledge and wisdom” but are actually based on a mishmash of medieval alchemical and astrological symbols and definitely not on the ancient wisdom of King Solomon which dealt with the human nature, it’s understanding and it’s philosophy. At about the same time I encounter an article about archaeologists from the Tel Aviv university who discovered an ancient ring (back at 2013) with engravings of the sacred name of God in ancient Hebrew letters - the original phoenician fonts. 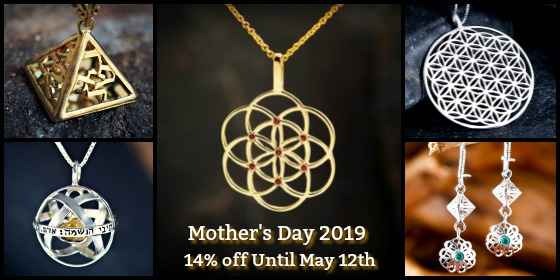 Similar pieces of jewelry bearing the sacred four letters name were discovered in recent years. 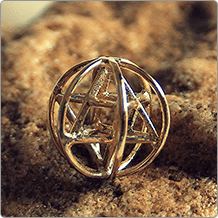 I remember an amulet which was basically a folded pure gold foil with an engraving of the four letter name. One of the things that always fascinated me was the parallel between the "revealed name" of G-d in Judaism, the tetragrammaton - name with the four letters YHWH and the tetractys of pythagoras. The tetragrammaton incorporates basically the abstract idea that G-d is space time itself, existence and consciousness. The explanation of this is that these four letters in Hebrew make up the word “being”, meaning to be, and also the words : was, is, will be-HAYA, HOVE, YEEHIYE. 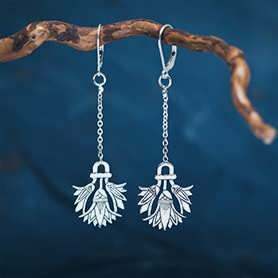 These ancient amulets were used for protection. 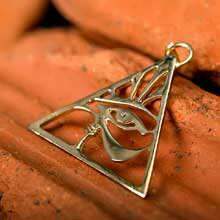 The belief in forces that can bring negative influence into your life is as old as human history.The uncertainty in our lives, the lack of ability to comprehend different phenomenons and our fragile existence , led our ancestors to lean on such things divination, the belief in the existence of dark forces and the ability to control these forces by using different amulets. 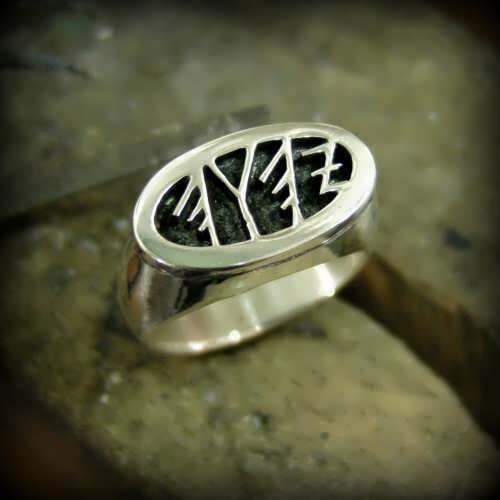 The idea of creating such a powerful amulet and the client’s request sent me to the workbench in order to recreate King Solomon’s ring - a ring, that according to legend gave him the ability to control these unseen forces. The tale about King Solomon and Ashmedai contains many layers and ideas, it is not just an ancient fable, but actually a story about human pride, delusions, and the nature and cause of suffering in a manner that is very similar to Buddhism. It tells the tale of king Solomon who was ordered by God to build the temple in Jerusalem. Since it was forbidden to use iron tools in the building process, because this metal was used for weaponry and the temple was a sacred place of peace, not a monument for violence or hatred, he was forced to find a way to carve and chisel the huge stones. After he consulted with the elders and the wise he was told that there is a magical substance/creature -The Shamir that can carve these stones. In order to find the shamir they tell him to capture a male and female demons and ask them where it can be found. So our protagonist king does exactly as he was told and captures two demons. However the demons tell him that they don’t know where the Shamir is and that their king Ashmedai is the only one who possesses this knowledge. King Solomon commands his trusted minister Benayahu Ben Yehoyada to capture Ashmedai giving him a chain on which was graven the Divine Name and a ring on which was graven the Name. eventually benayahu tricks ashmedai and captures him, and the story describes their journey, where Ashmedai takes different symbolic actions that have philosophical meaning and understanding of the human mind and the delusions and folly of the human being. During their journey, he saw a blind man straying from his way and he put him on the right path. He saw a drunken man losing his way and he put him on his path. He saw a wedding procession making its way merrily and he wept. He heard a man say to a shoemaker, make me a pair of shoes that will last seven years, and he laughed. He saw a diviner practising divinations and he laughed. When they reached Jerusalem he was not taken to see Solomon for three days. On the first day he asked, why does the king not want to see me? They replied, because he has overdrunk himself. So he took a brick and placed it on top of another. When they reported this to Solomon he said to them, what he meant to tell you was, give him more to drink. On the next day he said to them, why does the king not want to see me? They replied, Because he has over-eaten himself. He thereupon took one brick from off the other and placed it on the ground. When they reported this to Solomon, he said, he meant to tell you to keep food away from me. After three days he went in to see him. He took a reed and measured four cubits and threw it in front of him, saying, see now, when you die you will have no more than four cubits in this world. Now, however, you have subdued the whole world, yet you are not satisfied till you subdue me too. These actions have significance that is similar to the teachings of the Buddha. When Benayahu asks him to explain his actions ,he Benayahu said to Ashmedai, why when you saw that blind man going out of his way did you put him right? He replied: It has been proclaimed of him in heaven that he is a wholly righteous man, and that whoever does him a kindness will be worthy of the future world. And why when you saw the drunken man going out of his way did you put him right? He replied, They have proclaimed concerning him in heaven that he is wholly wicked, and I conferred a boon on him in order that he may consume his share [in the future] - (which is a similar idea to the one of karma.) Why when you saw the wedding procession did you weep? He said: The husband will die within thirty days, and she will have to wait for the brother-in-law who is still a child of thirteen years. Why, when you heard a man say to the shoemaker, make me shoes to last seven years, did you laugh? He replied: That man has not seven days to live, and he wants shoes for seven years! 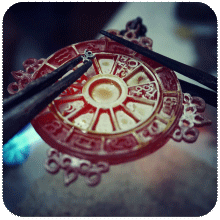 Why when you saw that diviner divining did you laugh? He said: He was sitting on a royal treasure: he should have divined what was beneath him. In that way Ashmedai shares with him the delusional true nature of the World of Phenomenon. He shows him the concept of impermanence, change, karma, attachment to things which cause suffering, human ignorance, and even teaches king Solomon a lesson when eventually he uses the king’s hunger for power and wisdom and tricks him, captures the King’s signet ring with the sacred name, wears his own image and sits on his throne for seven years, while the king roams the land as a beggar and during that time he wrote the book of Ecclesiastes which deals with similar concepts and most of you are probably familiar with this book because of the classic Byrds cover of Pete Seeger’s song “Turn! Turn! Turn!”. The ancient tale of King Solomon and Ashmedai - The King of Demons was written in The Babylonian Talmud which was edited in the 5 century. I only read the tale as a child in a short modern version, so when I finally read the story that was written in Aramaic I was reminded of a strange story that took place some fifteen years ago. As for my personal story - it happened about fifteen years ago. At that time I had a few distributors, and one of them had a sort of a new age store with all sorts of crystals, and stuff you can usually find in such a place. 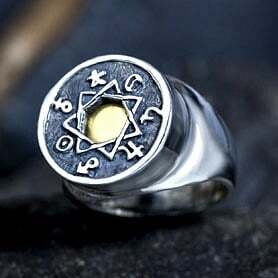 One day when I came to the store, he showed me a ring with a peculiar engraving, told me he brought it from Brazil and that it was “powerful”. Then he gave it to me as a gift and to my surprise it fitted perfectly. As I was wearing it , I had this strange feeling, but I dismissed it and left it on my finger. At night I had a dream. In the dream I found myself in a sort of a house full of people at what seems to be some kind of an event. Someone approached me, and offered me a small box. On top of the box appeared the ancient Hebrew word for “world” - ”TEVEL” written in gold letters. I looked at the box and tried to look at the figure only to realise that in a strange way I wasn’t able to see who he was. 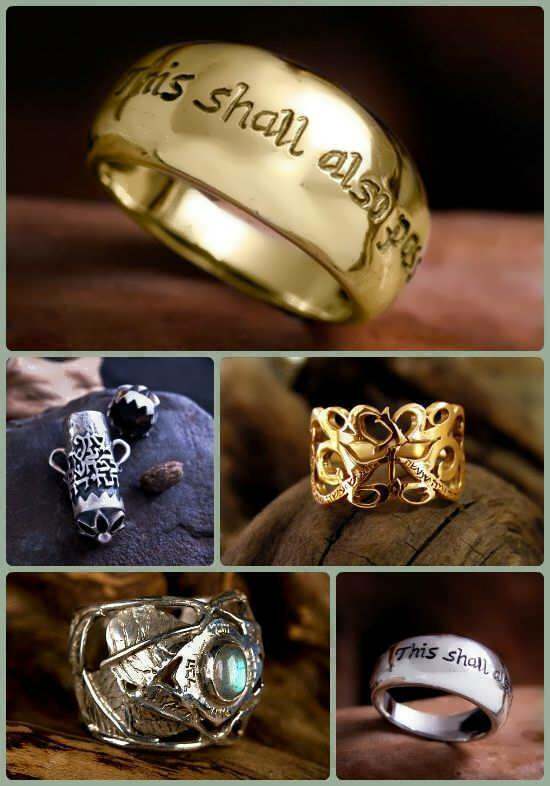 He told me that inside the box, there’s a ring and that if i will take it, the entire world “will be mine”. I opened the box, and inside there was a plain ring, I thought that the entire thing was ridiculous and decided to take the ring bragging my “bravery”. I put it on my finger looked up and there was no one . 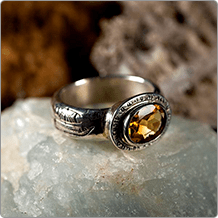 I noticed that each time I gazed at the ring it looked different, and an eerie feeling took over. At that moment I woke up. The room was dark and I’ve noticed that I was wearing the ring that was given to me this morning. I took it off and fell asleep. The next day everything seemed normal, though I left the ring on the chest of drawers near the bed, and looked at it from time to time suspiciously. In the evening there was a loud knock on the front door .I opened it and there was Yosi. 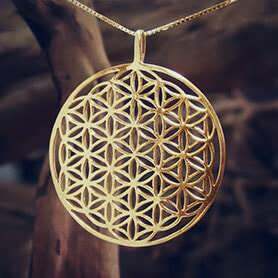 Now, I met Yosi through a mutual friend, after Yosi claimed to have the ability to foresee things, and to see the “hidden realms and dimensions of existence” of the higher worlds . He said that from an early age he was diagnosed as an autistic child, but he simply was able to see things that other people weren’t able to see. Because of that it looked as if he was leaving in a world of his own - hence the diagnose. I was quite skeptic, and I used to test him from time to time. At that particular evening he came to my house, and as I opened the door he rushed inside and acted strange. he opened the cupboards in the kitchen, went inside the different rooms without talking . “Oh, come on, what is it now?? ?” I said - Then he looked at me and said “There is something in this house, that you brought, someone gave it to you, it’s sinister, you should get rid of it”. I looked at him, and most of my skepticism vanished, I haven't told anyone about the dream and the ring. I showed him the ring and he was shaken, “get rid of it”. We went to the beach in Tel Aviv, at night, where things became surrealistic, and I threw the ring to the sea, and that was it. 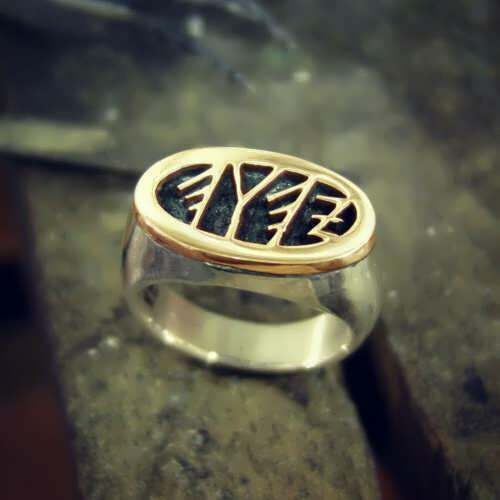 This story is one of the reasons I decided to create this ring, both as a reminder for the unknown and unseen realms of our reality, an amulet for protection, and also a realization and understanding of the lessons and wisdom of a wise ancient king.